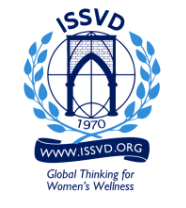 The International Society for the Study of Vulvovaginal Disease (ISSVD) and the International Continence Society (ICS), as leading societies in their fields, support the warning issued by the FDA on July 30, 2018, concerning the use of energy based devices (radiofrequency and LASER) for vaginal "rejuvenation" (a not-scientifically defined term), vaginal cosmetic procedures or procedures intended to treat vaginal conditions and symptoms related to menopause, urinary incontinence, or sexual function. The claim that the use of these energies for rejuvenation is different from that for the treatment of atrophy in selected patients (postmenopausal, breast cancer, pelvic radiation) is not sustained by evidence and is misleading. Physicians have ethical responsibility to provide to patients accurate and current information regarding the efficacy and safety of innovative practices, in particular when adopting new approaches on the basis of promotions or marketing. Based on the available evidence, we recommend against the use of LASER and radiofrequency for the treatment of lichen sclerosus, vulvodynia, urinary incontinence, vulvovaginal atrophy, or for "rejuvenation" (a commercial not scientifically defined term) out of the setting of properly designed clinical trials.